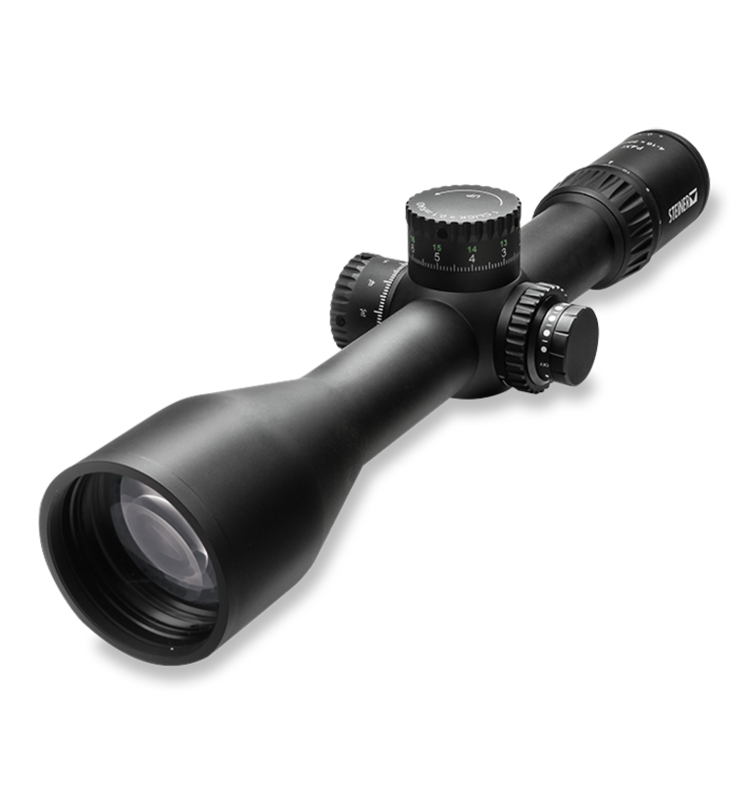 The P4Xi 4-16x56 is a medium range scope with 34mm tube, an illuminated front focal plane Special Competition Reticle (SCR™) and side parallax adjustment. are designed for precise adjustment. The dials are calibrated so that 1 click equals 1 cm @ 100 meters or .1 mRAD for the 4-16x. scope tubes are milled from solid, high-grade aluminum stock so there are no welds or seams, for greater strength and durability.